mKey achieves 100,000 downloads in 2 months as it takes on rivals for mobile loans. 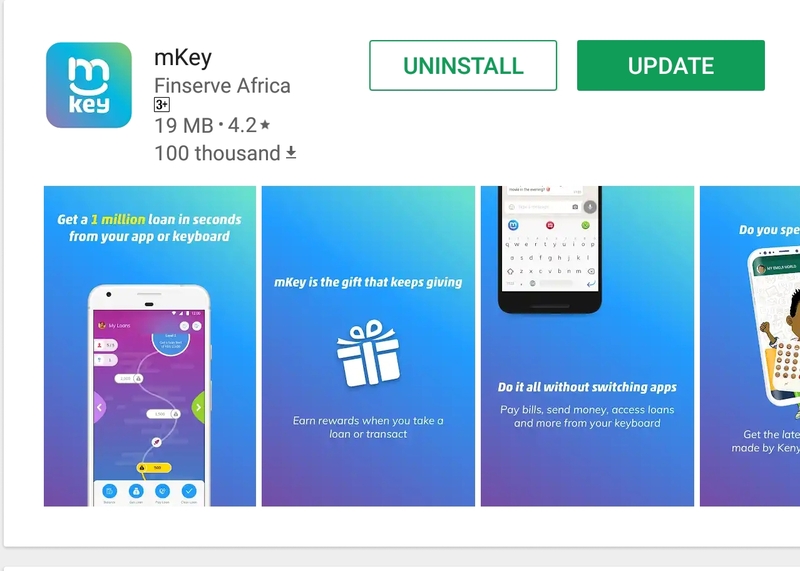 mKey, Africa's first keyboard app that converges social, and financial services into an integrated lifestyle, has recorded close to 100,000 downloads since its official launch in early September. Finserve, the fintech that operates mKey, has reported that as at the end of October 99,970 users had downloaded the keyboard app with 309,000 transactions worth Ksh17.8 million having being processed over this period. mKey additionally processed loans worth Ksh5.2 million over this period. Equitel recorded double digit growth in both the value and number of mobile money commerce transactions, according to the Communications Authority data. Equitel is increasingly growing the volume and value of mobile commerce transactions boosted in part by the EazzyPay Paybill number that allows payments to be received from all mobile money transfer services through the interoperability feature. Equitel further accounted for 23 per cent or Ksh328 billion of the Ksh1.427 trillion that was transacted in the form of mobile commerce payments. The volume of person-to-person transfers on the other hand increased by 2 per cent to stand at Ksh117 billion from Ksh114.1 billion over the same period. Equitel's subscription base as at June 2018 was 1.95 million.